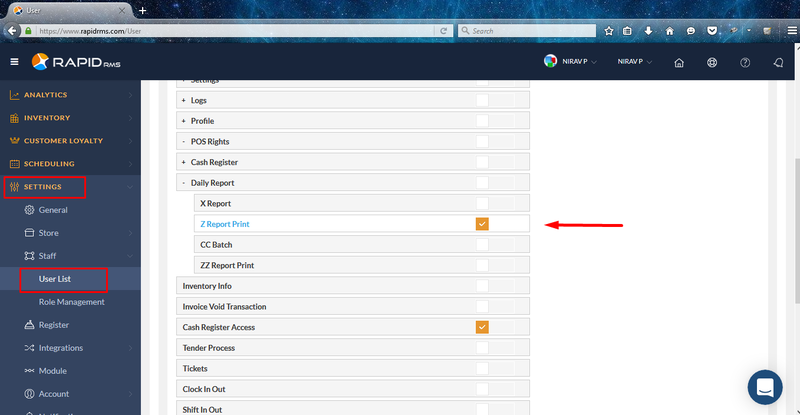 How to apply Z report print right ? Setting -> staff -> user list -> open user in edit mode -> open user rights tab -> POS rights -> Cash register right -> Daily report -> Z report print. 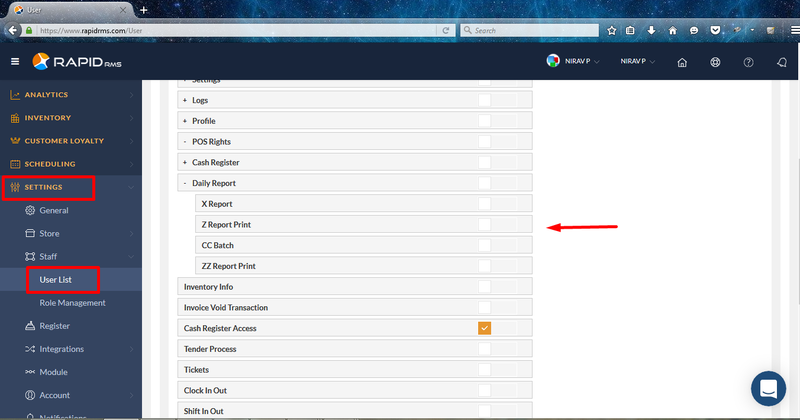 When Z report print option is enable then From daily report user can apply Z. 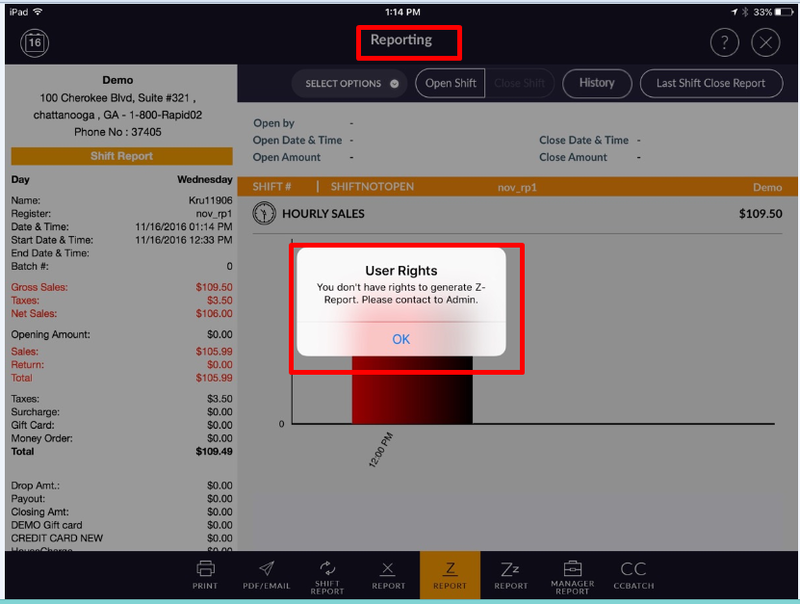 In user rights when Z report print right is not selected then from IOS application daily report Z is not allow to apply.